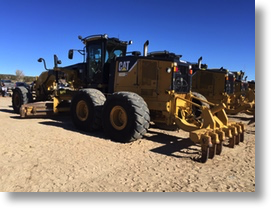 Miller Blades is a full service equipment rental and contracting company pairing late model Caterpillar motor graders and finish scrapers with the best operators in the industry. We have been providing Southern California’s contractors (and areas beyond) with the highest quality service for over 40 years. Miller Blades isn’t your typical construction company. We pride ourselves in providing the foremost in quality personnel because we ourselves are experienced operators who know and understand your job. This experience enables us to give you the proper tools necessary to not only get the job done, but to increase your production also. Our founder, Gerald Miller, has been working in Grading and Excavation for over 50 years as an owner operator and contractor. He has instilled his work ethic from his on-site experiences to his employees to create a higher standard not seen in most contracting and equipment rental companies. Our operated and maintained equipment has actively participated in helping our customers finish such projects as finishing the grade for Interstate 210, Interstate 15, Highway 41 and Highway 241 to name only a few. We have helped finish special projects like Hyundai/Kia’s proving grounds, dozens of Landfill floors and liners, many school sites, utility facilities and prisons too. Contractors count on us for tight tolerances on Airports, Industrial Pads and other situations where material yield is of greatest concern. We have helped rough grade and finish grade far too many residential projects to list. Our experience and reputation speaks for itself. So, call us today and allow us to help you with whatever need you may have and our highly skilled personnel are sure to meet and exceed your expectations. We are CARB Tier 3 compliant and have Caterpillar 16, 14 and 140 motor graders and also can provide Caterpillar 613 and 623 finish scrapers. 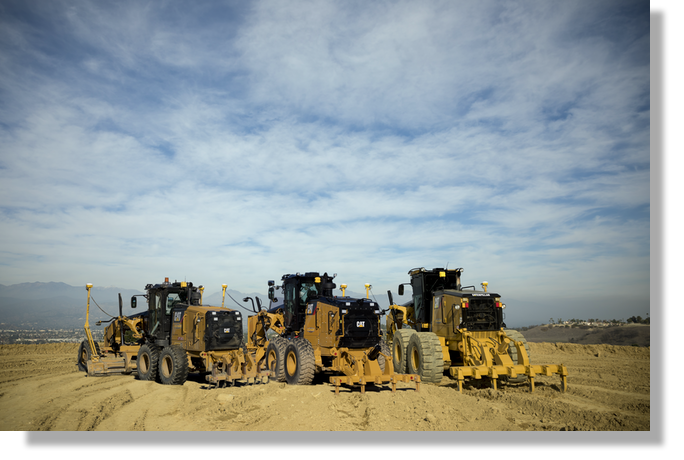 Our motor graders are equipped with state of the art machine control including TRIMBLE and TOPCON GPS systems, laser, sonar and cross slope automation for every possible application you may require.